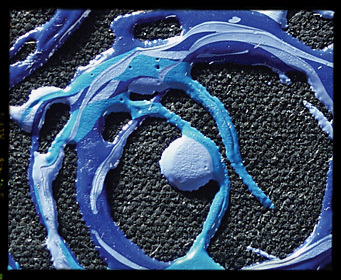 Liquitex offers a variety of speciality products including Fluid Mediums, Gel mediums, Texture Gels and Additives which have been specifically designed to achieve various techniques, applications, and special effects. Enhances blending, workability and adhesion of acrylic colours for painting directly on fabric or unprimed canvas. Reduces dry paint stiffness. No heat setting required. Controls bleeding of colours thinned with water. Provides a smooth, consistent flow to Soft Body Artist Colour. Eliminates the need to scrub or abrade rough textured fabrics in order for paint to adhere to or penetrate into surface. Begin by adding medium 1:1 with Liquitex Soft Body Artist Colour. Test on fabric to see if you are getting good coverage without bleeding. Mix into acrylic colours to improve wet-on-wet blending techniques. 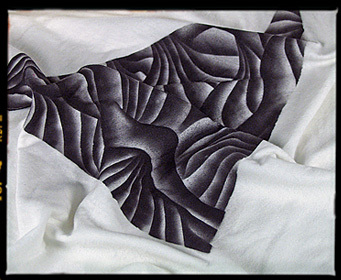 Medium can be added directly onto fabric to blend colour. Use Fabric Medium 5:1 with Liquitex Soft Body Artist Colour to control colour bleeding. Designed to not craze in poured applications, which creates even poured puddles and acrylic sheets. Mix with Soft Body Acrylic Colour to promote drying with a smooth even coloured film. Mix with Soft Body Acrylic Colour to promote drying with a smooth, evenly coloured film. Adds richness to acrylic colours by creating a metallic/pearlescent effect. Dries translucent and will not oxidise. Can add shimmer or sparkle to a picture even in the smallest amount. Achieve the most dramatic effects when mixing with transparent colours. Try painting on top of any dry colour for unique effects. Produces a range of iridescent or metallic colours when mixed into acrylic colours. Opaque when wet, transparent - translucent when dry. Acrylic Sheets, Collage, Glazing and Transferring Printed Images. Mix with small amounts of colour, gradually adding more colour until desired iridescent quality and transparency is achieved. Transparent and translucent colours work best. Opaque colours can also be used. Colour will become more transparent as percentage of medium increases. Colours increase in their iridescent quality and become much more reflective upon drying. For Mother of Pearl colour, use directly from container. For use on fabric, thin 50% with water. A pre-filtered, ready to use medium that easily thins any acrylic, watercolour or gouache to the right consistency for spray application. An excellent choice for colour washes and watercolour techniques when used with acrylic colours. Mixes well with other mediums to adjust the body and handling properties. Maintains integrity of acrylics even at high dilutions and decreases airbrush clogging and paint buildup. Use with Liquitex soft body colour for best results. 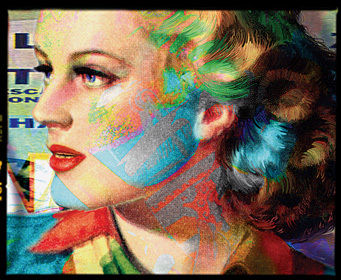 Liquitex Airbrush Medium is specifically formulated for thinning acrylic colours for airbrush application. Mixing colours with Airbrush Medium will ensure that the colours do not lose their flexibility, durability and adhesion. Pre-mixed blend of acrylic polymer emulsion, water, retarder and Flow-Aid. Ready to use pre-filtered and pre-reduced to the proper consistency for airbrush technique. Add as much or as little as desired. Formulated for thinning acrylic colours for airbrush application. Ensures colours do not lose flexibility, durability and adhesion. Easily thins acrylic or any water-soluble paints to a sprayable consistency. Liquitex Airbrush Medium mixes easily with all Liquitex Soft Body Concentrated Artist Colours to produce airbrush paint with the proper viscosity for airbrushing. Can also be mixed with Liquitex Heavy Body Artist Colours. Mix Airbrush Medium into Soft Body Concentrated Artist Colour. No need to strain. Mix Airbrush Medium into Heavy Body Artist Colour. Strain to remove any undissolved colour. Start by mixing 50% Airbrush Medium to colour. Mix thoroughly. Add more Airbrush Medium as necessary to facilitate flow through the airbrush. Each colour may require a different percentage of Airbrush Medium to colour, due to variation in colour pigment size and concentration of pigment. Airbrush nozzle size and spraying pressure (PSI) will determine Airbrush Medium/paint mixture. Larger nozzles allow for greater amounts of paint in the mixture. Keep airbrush wet during use. Do not allow paint to dry in airbrush. Clean airbrush with water, water/ammonia mixture, airbrush cleaner or alcohol. A self levelling gel with honey-like consistency. Gently pouring yields a long, constant-flowing string of gel. Mix with acrylic colour for interesting application effects, to enhance depth of colour and to increase transparency and flow. Mixed with acrylic colour and brushed, colour 'follows' the brush creating long streaking effects. Pouring or dripping the gel from above produces a long, string-like application. Mix with acrylic colour and brush to creating long streaking effects, as well as to enhance depth of colour. 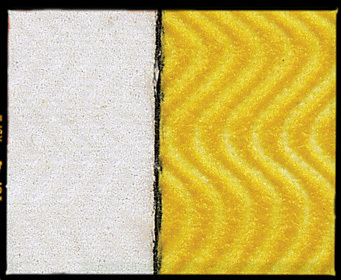 Liquitex Texture Gels contain particles that produce a variety of unique textural and dimensional effects. They may be mixed with acrylic colours, other mediums, or used on their own. 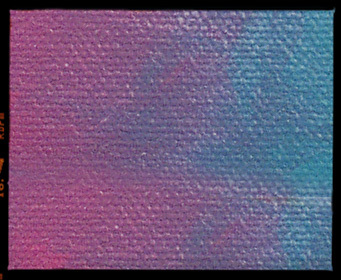 Dry Texture Gels can be over-painted with acrylic or oil colours and can be used as an under painting textural ground. 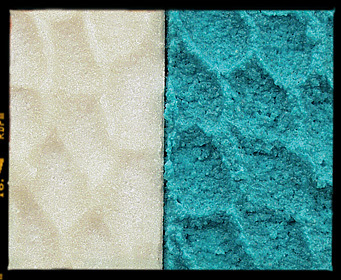 Mix any texture gels together to achieve unique surfaces. A clear gel speckled with small black particles that adds an innovative dimension to paint surfaces. Gives dramatic effects when mixed with transparent, translucent or interference colours and can be used to darken values in a picture. Try over painting dry acrylic colour for additional effects. A black speckled gel that contains small, flat, hexagonal shaped dark aggregates. When wet, look gray but when dry, give the effect of ground, dry, black lava. 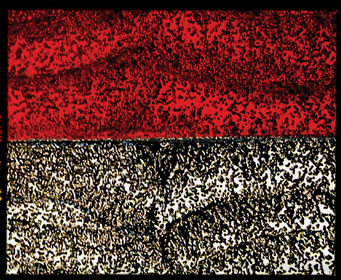 Mixed with transparent and translucent colours, black speckled quality is most apparent. 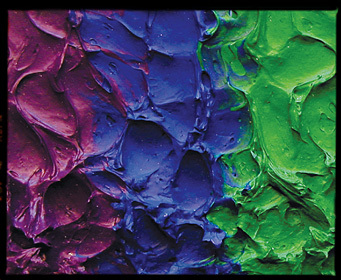 Mix with Liquitex Interference Paint for dramatic colour effects. Apply with palette knife, trowel, paint brush, etc. Different tools produce different effects. Mix acrylic paint into Texture Gel or let gel dry and paint on top. Mix with Gloss Medium & Varnish to produce textured glazes. Very small amounts of paint are needed since most Liquitex Texture Gels are translucent. Texture Gels can be thinned with small amounts of water if necessary. Varnish with care to avoid foaming or clouding. Spray apply if possible. 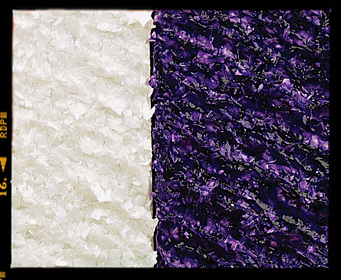 All seven Texture Gels may be intermixed to increase the variety of possible textures. Formulated for maximum flexibility and adhesion. Will not chip or crack on canvas. Great for adding texture and body to painted forms. This thick opaque gel, when dry, will give the effect of flexible fiwith a matt sheen. Holds unusual peaks and knife strokes when mixed with colour. Can tear to have the effect of pieces of torn fabric. A thick, fibrous gel that when dry give the effect of flexible fibres. Add Liquitex Gloss Gel Medium or Gloss Heavy Gel Medium for easier application and to increase adhesion while wet. Works best when applied with palette knife or trowel. A favourite medium of many artists. 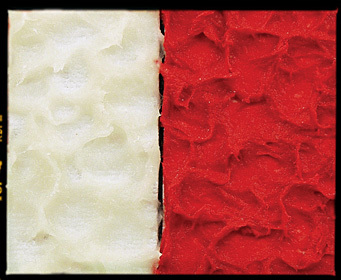 This thick, fine textured gel can be applied with a palette knife to give the surface finish of an Italian fresco. It dries to a light gray matte stucco finish and is a great absorbent ground for washes and glazing. Try painting over the dry surface with airbrush medium or drawing with pastel or charcoal. A thick, low luster, fine texture gel, that dries to a light gray matte stucco finish. Excellent for producing thick 3-D effects, as well as thinly coating surface. Excellent ground for acrylic and oil paint, oil pastel, oil bars, pastels and graphite. Somewhat susceptible to abrasion. Coat with Liquitex Varnish for added protection. Apply varnish carefully to avoid foaming and clouding. Works well with brush application. 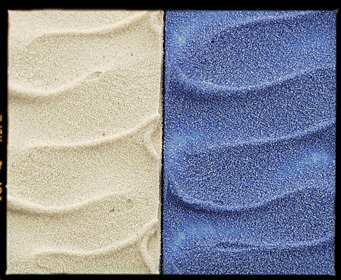 Add Liquitex Gloss Gel Medium or Gloss Heavy Gel Medium when using additional aggregates (such as sand) to avoid brittleness. A medium body gel that contains clear round plastic beads and dries to a semi-gloss surface. Perfect for creating a 'bubbly' but smooth texture that can be dramatic when mixed with colour. When poured it creates a flexible shimmering film for a wide variety of applications. Works well as a surface to paint over with colour. Can be used under oil or acrylic. 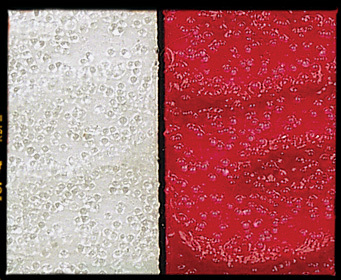 A medium body gel that contains clear, round aggregates that dry to a semi-gloss, reflective ("bubbly") surface. For most dramatic reflective effects, mix with transparent or translucent colours or apply straight from container over dried paint. For reflective textural glazes, mix with Liquitex Gloss Medium & Varnish and small amounts of Liquitex Soft Body Concentrated Artist Colour. Suitable as a ground for acrylic and oil paint. Works well with brush application. All eight Texture Gels may be intermixed to increase the variety of possible textures. A fine-textured gel that dries to the appearance of glossy beach sand. Mix with other gels to create customised surfaces. An excellent choice to add a bit of 'tooth' to an under-painting. Try combining the natural sand with a ridged trowel for uniform peaks and valleys. 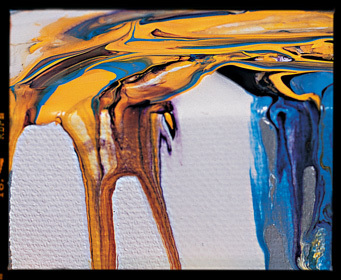 Mix with Liquitex acrylic colours to improve blending and impart the "feel" of oil paint. A thick, coarse gel that dries to a semi-gloss texture similar to rough cement. Mix with Black Lava and Ceramic Stucco to create an absorbent, granite like surface that is very receptive to soft body colours. A heavy, coarse gel containing irregular sized and shaped white opaque flakes. May be used to create foliage effects in landscapes by mixing with opaque colour or glazing over when dry. Has a similar effect of snow flakes or coconut flakes. A Heavy body, coarse gel, that contains irregular sized and shaped opaque flakes. White flake texture is most apparent when mixed with transparent or translucent colours or small amounts of opaque colour. If pure white is desired, add a small amount of Liquitex Titanium White. Additives allow the artist to adjust the working properties of acrylic paint. They can be used to increase the flow, the opacity, or the thickness, and more. While they do contain acrylic polymer for compatibility, they do not contain sufficient acrylic resin to act as a binder within the paint. Breaks water tension to improve flow, absorbency and blending of any water based paint, ink or dye and minimises brush strokes. 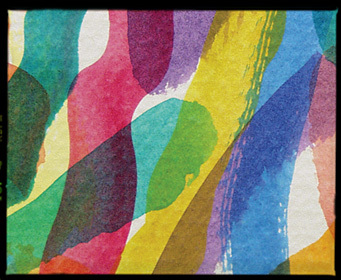 Use with Liquitex Soft Body colour to create very fluid washes without hard edges. Great for staining effects on raw canvas. Should not add more than 25% as there is no binder and it can weaken the stability of the paint film when too much is added. For all acrylic paints and mediums. Use in conjunction with any acrylic medium or colour when increased flow and absorption and decreased film tension and friction are important. A flow enhancer that improves the flow, absorption and blending of any water-soluble paint (i.e. acrylic paint), medium, ink or dye. Minimizes brush marks by reducing friction of paint application. Does not contain binder. Over thinning of acrylic paint with Flow-Aid and applying to a non-absorbent surface (i.e. 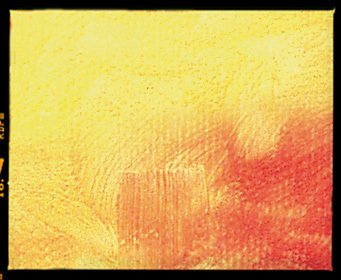 gessoed canvas) may result in poor adhesion. Always make a test piece for your particular application and surface. On non-absorbent surfaces, will increase the fluidity and open (drying) time of the paint. On absorbent surfaces, will act as a stain, dye or watercolour. Flow-Aid is a concentrate. Dilute with water before mixing into paint. Distilled water is best, since quality of tap water varies. Minimum dilution: 1 part Flow-Aid to 10 parts distilled water to achieve Flow-Aid Water. Normal dilution: 1 part Flow-Aid to 20 parts distilled water to achieve Flow-Aid Water. Do not use undiluted. Using undiluted may result in poor paint adhesion, cause paint to crack, remain tacky and become water sensitive. Do not shake or rapidly stir. This will increase foaming of Flow-Aid . Wait until foaming has subsided before using. Absorbent surfaces: Use as much Flow-Aid as necessary. The Flow-Aid Water/paint mixture will be absorbed by the support. Mix Flow-Aid Water into water based paint. Do not mix Flow-Aid with turpentine or oil paint. Do not use Flow-Aid in marbling, as this technique requires that the surface tension of the water film be maintained. Acrylic Sheets, Acrylic Watercolour, Airbrushing, Brushwork, Fabric Painting, Glazing, Transferring Printed Images. Liquitex Paint Additives are similar to acrylic mediums in that they are mixed into acrylic paint and mediums to change consistency, thickness, transparency, sheen, drying time and absorption rate. However, they are different in that they do not contain acrylic polymer emulsion and therefore have no binding qualities inherent in them. Excellent for sculptural effects when a matt finish is desired. Gives the handling characteristics of oil or encaustic paint when added to water-based acrylic paints and mediums. Works great with opaque colours as it does not increase transparency or change the position of colours. Should not add more than 25% as there is no binder and it can weaken the stability of the paint film when too much is added. A thickening gel for water soluble acrylic paint and mediums. Used in small amounts, produces handling characteristics very close to that of oil or encaustic paint. At higher concentrations, can thicken paint or mediums to "cake" or sculptural consistency. Drying time will be between 24 hours to 7 days depending upon amount of Liquithick added to paint or medium. Liquithick does not increase transparency. Liquithick produces a matte surface sheen when dry. Paint and medium shrinkage will occur in proportion to the amount of Liquithick added. Start by adding a very small amount of Liquithick to paint or medium and mix well with a palette knife. The proper proportion will vary with colour and desired effect. Proportions of 20 or 25 parts colour to 1 part Liquithick will change the handling characteristics. Continue adding Liquithick slowly until the desired viscosity is achieved. Add only enough for desired effect and do not exceed 1 to 4 ratio as excessive shrinkage and cracking may occur. A fluid that slows the drying time of acrylic paints and mediums by up to 40%. An absolutely essential additive if working in drier climates. Mix into the paint when on the palette to slow the skinning over of the paint and increase blending time. Should not add more than 25% as there is no binder and it can weaken the stability of the paint film when too much is added. For all acrylic paints and mediums. Fluid consistency thins paints. Increases "open" time of acrylic paint. Reduces paint skinning-over on palette. Increases blending time, making blending of colours and detail brushwork easier. Fluid consistency, made to be used with Liquitex Soft Body Artist Colour and Soft Body mediums. May also be used with Liquitex Heavy Body Artist Colour and Heavy Body gel mediums, however thickness of paints and mediums will be reduced to a more fluid consistency. Do not mix more than 25% per volume into paint and mediums or paint may not fully dry. Acrylic Watercolour, Brushwork , Fabric Painting and Silkscreen Printing. Liquitex Paint Additives are similar to acrylic mediums in that they are mixed into acrylic paint and mediums to change consistency, thickness, transparency, sheen, drying time and absorption rate. However, they are different in that they do not contain acrylic polymer emulsion and therefore have no binding qualities inherent in them. Only limited quantities (usually up to 25%) of any additive can be added into the colour before harming the paint film. An excellent choice when working in low humidity, or whenever increased workability and blending time of acrylic paints and mediums is desired. Will retain brushstrokes and add body to lower viscosity colours. Should not add more than 25% as there is no binder and it can weaken the stability of the paint film when too much is added. Similar to Slow-Dri Fluid Retarder, except in gel (Heavy Body) thick consistency. Gel consistency, designed to be used with Liquitex Heavy Body Artist Colour and Heavy Body mediums. May also be used with Liquitex Soft Body Artist Colour and Soft Body mediums, however thickness of paints or mediums will be increased. Brushwork , Fabric Painting and Silkscreen Printing.